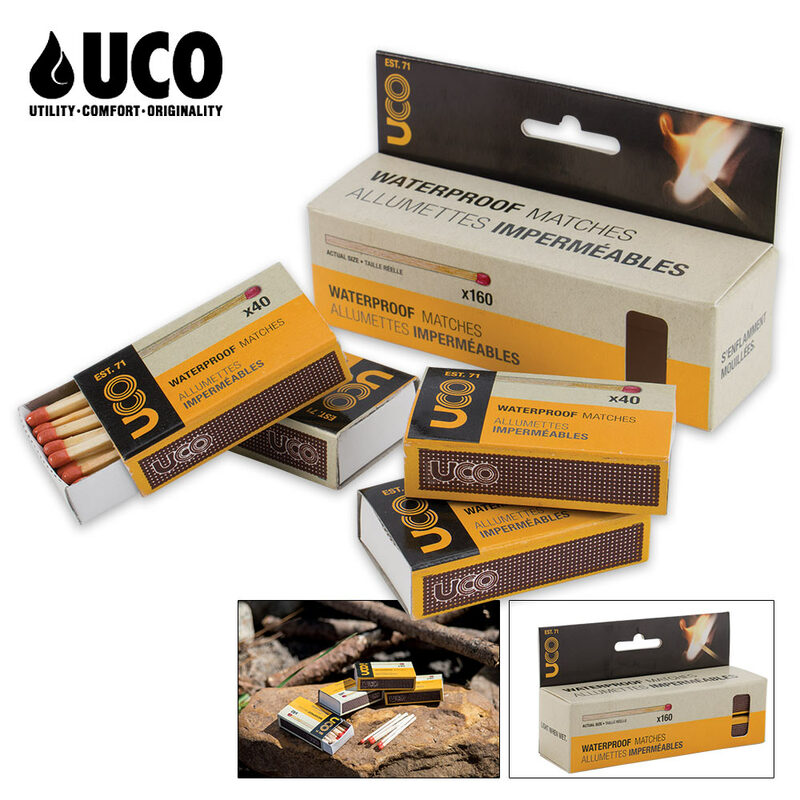 UCO Waterproof Matches Pack Of Four (4 Pack) | BUDK.com - Knives & Swords At The Lowest Prices! 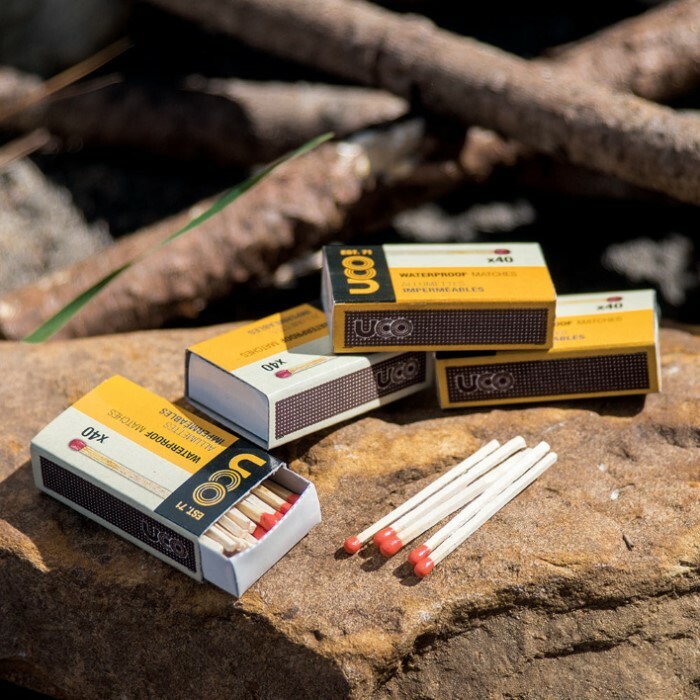 Fire is vital to survival, and these waterproof matches from UCO are a necessity for any survival situation. Each of these carbonized matches is guaranteed to burn, even after being soaked in water. They come packaged in four boxes of 40 premium waterproof matches. 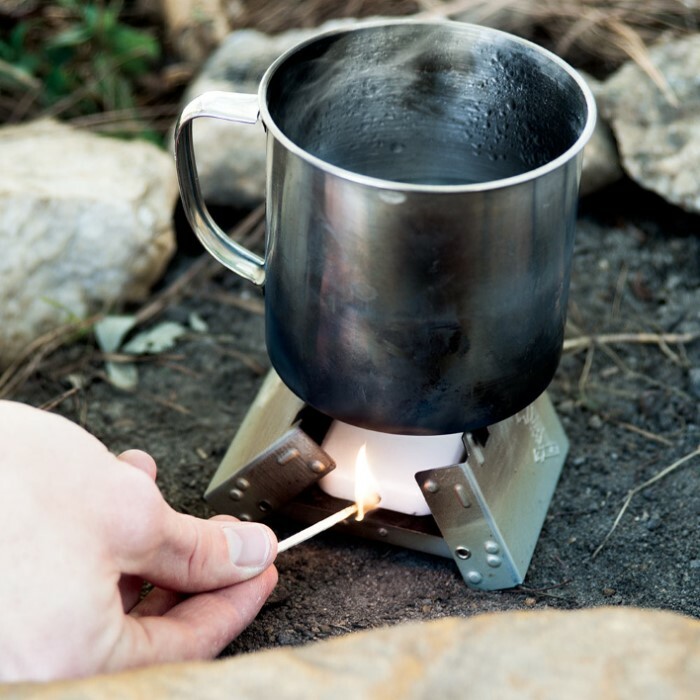 These survival matches are a must-have necessity for camping, hiking, boating, survival kits and much, much more! We keep a generous supply of these waterproof matches in our home and cars just in case. You just never know when you might need a quick way to light something and you can always count on these #spreadmusicnothate #rustywrightband. These are excellent matches. Very fast and strong lighting. Quality seems consistent between matches. The overall burn time of the stick is decent. I didn't see it mentioned in the description but these also come with extra strikers that aren't attached to the match boxes. Much smaller in person but still a very good deal, will be ordering more.